I want my students to get to know me and I want to get to know them. But even more important, I want them to understand that they are walking into a classroom where everyone will be treated with kindness and respect. Even as a veteran teacher, I spend countless hours scouring the Internet to find activities that will help me achieve the classroom goals. 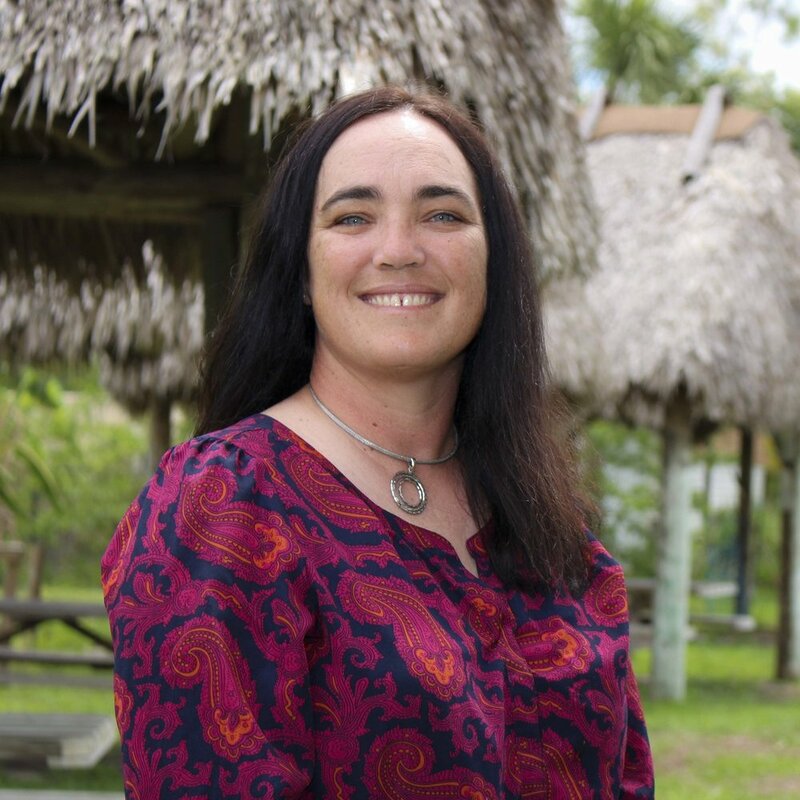 The following activities are ones that I have borrowed from other fabulous teachers across the state and country. How lucky are we that we no longer have to reinvent the wheel. Great teachers beg, borrow and improvise! This activity is called “Figure Me Out!” In this activity, there are eight pieces of information written on a poster board that I want students to know about me. The catch is that in order to discover the answer, they must solve a math problem. Students have a sheet of paper at their desk that matches the information on the poster. This activity is great because it gives me an outline to use when introducing myself, and it also gives me a quick insight as to what math skills my students are coming in with. Middle and high school teachers can do this too! Try using more complex math problems like solving a two-step equation. 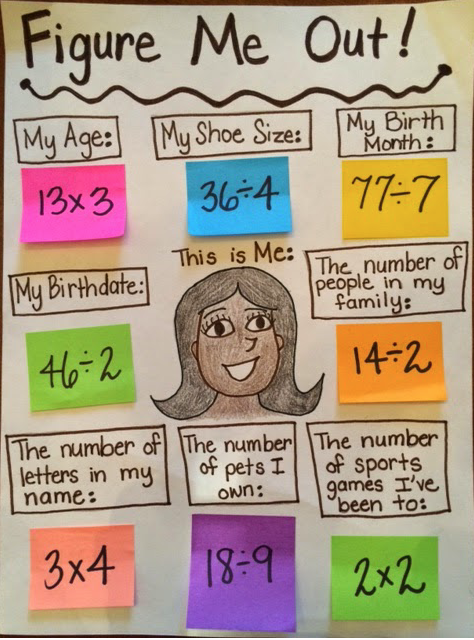 This activity is called “Math About Me!” This exercise helps students see how numbers relate to their everyday lives. When students finish completing their pennants, they each have an opportunity to stand and tell the class about themselves. We all have students in our class that freeze up when talking in front of others. This activity is great because it provides students a summary of what they can tell others and yet can give those more comfortable students an introduction so that they can go more in-depth if they wish. This also makes a great display when finished. I love hanging them from the ceiling to add color to the classroom. A classroom expectation of kindness and respect is a hard one to teach. I can tell my students the impact of our words on others, but unless they can see it, they really can’t get a good grasp of it. This activity truly brings alive the power we have with our words. I call this the apple activity. For this activity, I have the students come sit on the floor in front of me. I begin this lesson by putting the following saying on the board: Sticks and stones may break my bones, but words will never hurt me. Most kids have heard this saying before, but for those who have not we quickly go over it. I then ask them if they agree or disagree with this statement and give them a couple of minutes to have an informal conversation about what they think and why with the person sitting closest to them. (I say informal because I spend a lot of time teaching my kids how to speak to others within the first few months of school. See my first blog Making a Change. Next, I take one apple and I begin telling that apple just how wonderful it is. I compliment it on its smell, its appearance, its texture, etc. Then I pass the apple to each student and ask him or her to say one kind thing to it. Then, I take the second apple (the one I had repeatedly dropped on the floor the night before but the kids don’t know this) and I talk very negatively to it. I degrade its color, its smell and its texture. I tell the apple that it is not my friend and I ask the children to not be its friend either. (You should see their eyes at this point! They are in total disbelief.) I pass the apple to each student and ask him or her to say something ugly to it. Believe it or not, only one or two kids truly have a problem with this. Once I have both apples back in my possession, we compare them. Most of the time the kids will agree that they both still look the same. There really was no change. 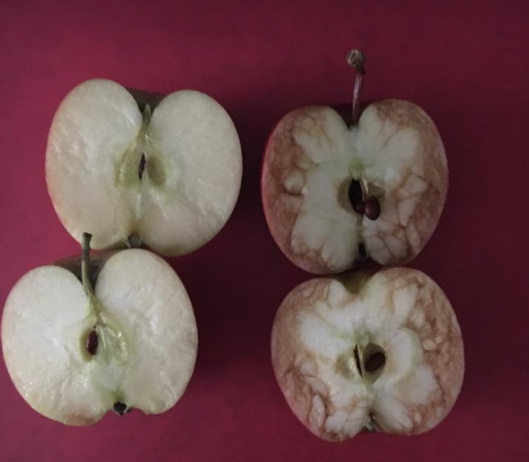 I then, cut the apples open to reveal the inside. The one that we spoke kind words to was white and juicy…almost sparkly. The one that we were very unkind to was bruised and mushy…very dull. Almost immediately you could see something different in the students’ eyes. They could now understand the power of their words. It was right there before them. Those bruises were caused by our ugly words, but this is something we could never see from the outside. Before the moment passes, I quickly revisit the statement, “Sticks and stones may break my bones, but words will never hurt me.” I ask them to have another conversation with their partner about whether they agree or disagree with this statement. The disagreement is always unanimous. This lesson was powerful to me as a teacher. I’ve spent a lot of time in my career trying to make my kids stronger by telling them not to worry about what others say, when I should have been focusing on the student who was using his words to tear people down. Remember, the first day of school is one we look forward to and prepare for all summer. We want to get to know our students and have them learn about us, but we also want to create a classroom culture where kindness and respect are not only celebrated but also expected!